Vasona Creek Healthcare Center is proud to be a four-star Medicare-certified, short-term rehabilitation and skilled nursing home located in Los Gatos, California. 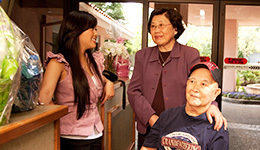 Each of our residents comes to us with very different and specific needs. 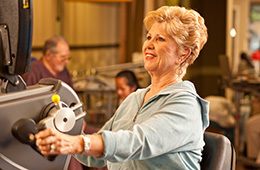 Our entire team is committed to creating individualized programs that directly answer those specific needs. Our team of qualified professionals understands the importance of creating a comfortable and nurturing atmosphere, whether residents stay for short-term treatment or long-term care. Contact us today. Our friendly professionals take referrals 24 hours a day at: 408-356-2191. We look forward to answering any questions you may have!